The problem of finding a maximum clique or enumerating all maximal cliques is very important and has been explored in several excellent survey papers. Here, we focus our attention on the step-by-step examination of a series of branch-and-bound depth-first search algorithms: Basics, MCQ, MCR, MCS, and MCT. Subsequently, as with the depth-first search as above, we present our algorithm, CLIQUES, for enumerating all maximal cliques. 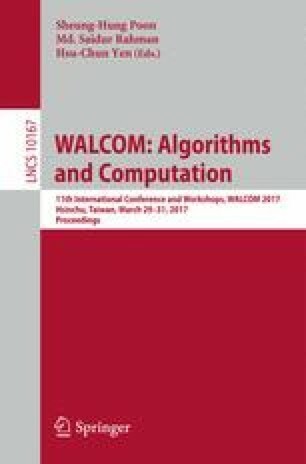 Finally, we describe some of the applications of the algorithms and their variants in bioinformatics, data mining, and other fields. The author would like to express his sincere gratitude to H. Ito, T. Akutsu, M. Haraguchi, Y. Okubo, T. Nishino, H. Takahashi and many others for their fruitful joint work and kind help. This work was supported by JSPS KAKENHI Grant Numbers JP16300001, JP19300040, JP19500010, JP21300047, JP22500009, JP25330009, Kayamori Foundation of Informational Science Advancement, Funai Foundation for Information Technologies, and others.